Let the debate begin. Google and Samsung delayed their planned Android 4.0 operating system and Galaxy Nexus smartphone launches until today in Hong Kong instead of October 11 in San Diego. They claimed the delay showed respect for Apple cofounder Steve Jobs who died two weeks ago. Some members of the Apple Fanclub of bloggers and journalists insist that reason is a smokescreen for software or hardware problems. Unlikely considering nothing ships until November. Looking at what Google and Samsung unveiled today, the companies had plenty of good reasons to announce before iPhone 4S sales started October 14. It would have been the competitive equivalent of launching a nuclear strike. Seriously, if I bought iPhone 4S last week, I would return it today. Other than being invested in the Mac lifestyle or loads of iOS apps, why wouldn't you, if a gadget geek, not take the arguably better phone or operating system? It's not just Galaxy Nexus. Motorola unveiled Droid Razr yesterday, and it's arguably an iPhone 4S sales buster, too. Perhaps iPhone's smaller display appeals to you -- okay, I can understand that. These Androids are huge. But otherwise? The hardware is easiest comparison, and iPhone 4S is such a skank compared to Galaxy Nexus. For starters the Samsung-manufacturered Google phone comes in HSPA+ and LTE versions. This truly is a 4G phone, with blazing bandwidth compared to iPhone 4S -- on HSPA+ 21Mbps compared to 14Mbps. Then there is LTE. Last month I asked: "What if iPhone 5 isn't LTE?" Galaxy Nexus answers the question. There's no iPhone 5 and no LTE. iPhone's 3.5-inch display is puny compared to the luscious 4.65-inch Galaxy Nexus screen -- and it's higher resolution, too -- 1280 x 720 compared to 960 x 640. Oh, and Galaxy Nexus' contrast ratio is 100,000:1 -- eh, 800:1 for iPhone 4S. While physically larger, Galaxy Nexus is thinner and lighter than iPhone 4S. 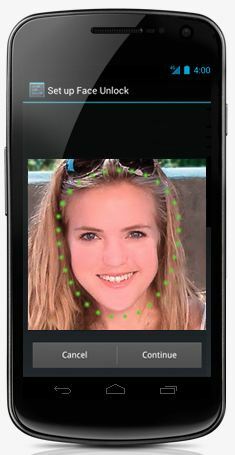 The Galaxy Nexus and Android 4.0 offer facial recognition unlocking, and there's even -- get this -- a barometer, which opens up new categories of scientific and sporting apps. iPhone 4S is carrier locked, while Galaxy Nexus is unlocked. Like the Nexus S, the new Google phone is contoured, which offers better comfort and security from prying eyes. Read Tim Conneally's "30 Awesome new features in Android 4 'Ice Cream Sandwich'"
Let the broader specs speak for themselves. iPhone 4S: 3.5-inch multitouch display with 960 x 640 resolution (800:1 contrast ratio); 800MHz dual-core processor; 512MB RAM; 16GB, 32GB or 64GB storage; UMTS/HSDPA/HSUPA (850, 900, 1900, 2100 MHz), GSM/EDGE (850, 900, 1800, 1900 MHz); 8MP rear-facing and VGA front-facing cameras; LED flash; image stabilization; 1080p video recording; accelerometer; ambient-light sensor; gyroscope; GPS; proximity sensor; digital compass; Bluetooth; WiFi; carrier locked. Measurements: 115.2 x 58.6 x 9.3 mm, 140 grams. 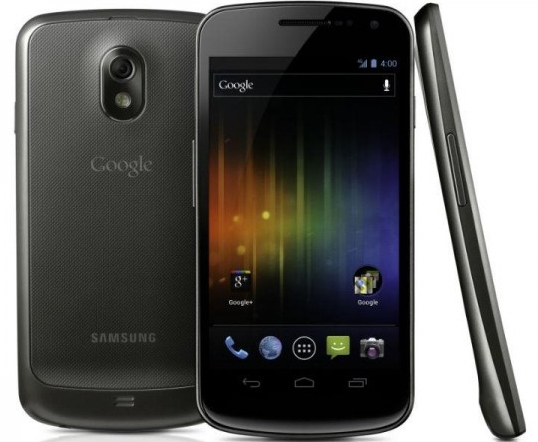 Galaxy Nexus: 4.65-inch multitouch display with 1280 x 720 resolution (100,000:1 contrast ratio); 1.2GHz dual-core processor; 1GB RAM; 16GB or 32GB storage; HSPA+ 21Mbps/HSUPA, 5.76Mbps (850/900/1900/1700/2100) -- 4G LTE some models -- EDGE/GPRS (850/900/1800/1900); 5MP rear-facing and 1.3MP front-facing cameras; LED flash; zero shutter-lag; 1080p video recording; accelerometer; ambient-light sensor; barometer; gyroscope; GPS; proximity sensor; digital compass; Near-Field Communication (NFC); Bluetooth; WiFi; carrier unlocked. Measurements: 135.5 x 67.94 x 8.94 mm, 135 grams. I expect there will be much debate about which is better: Ice Cream Sandwich or iOS 5. The answer is likely more personal taste for many and which features are more important to you. Then there's the issue of motif and interaction with it. Personally, I thought iOS was outdated two versions ago, and -- perhaps with Siri the exception -- the best new features are those copied from Android. But if you own an iPad, iPad 2, iPhone 3GS, 4 or 4S, you can get iOS 5 today. Android 4 releases next month and will be available to very few. Google has already confirmed that Ice Cream Sandwich will release shortly for Nexus S and Motorola XOOM. These are "with Google" products that are pure Android. But everyone else has to wait -- often for the carrier to release the update. So let's say, hypothetically, 80 percent of Coke or Pepsi taste testers choose Android 4 over iOS 5, but only 20 percent can get it? The point: What good is the more-desired thing? Ice Cream Sandwich replaces Android 2.x "Gingerbread" for smartphones and 3.x "Honeycomb" for tablets. Google has taken a forward-looking approach, with some features. Android 4 is optimized for HD displays, in this case 720p. There aren't many 720p mobile devices out there today. Supporting this, Google also created new typeface Roboto. The aforementioned Face Unlock is such an obvious feature, I'm surprised it isn't already standard on smartphones. For some time I've said this about Apple and Google operating systems: iOS is for people who want to have someone else choose for them, while Android is for people who want to decide for themselves. It's about customization and control over the mobile experience and who chooses. Think of iOS like a gated community, where Apple determines which apps can live there and controls the property and its landscaping. That's a place many people want to live. Others want to personalize their residence, something Android offers more of with features like widgets. Customization options are even better in Ice Cream Sandwich. For example, users can now resize widgets and more easily place them on the homescreen of their choice. They also can place oft-used apps in the Favorite Tray for easy access. Then there is a recent-apps chooser, to help users better use the multitasking features. Which operating system is the better multitasker? In my experience it's Android. Apple copied several Android features for iOS 5, including pull-down notifications. Too bad, because Ice Cream Sandwich greatly improves the motif. Users can now swipe away notifications instead of clearing the whole list. Swipe can also be used to dismiss browser tabs and tasks. There are lots of other little, meaningful niceties, like answering a call with text message. Now there's one for when you're in a meeting. Google replaced the address book with the People App, which puts the user at the center of contacts, which information is pulled from friends lists or Circles (in the case of Google+) from social networks. Ice Cream Sandwich also greatly improves the photography experience. There is continuous focus, stabilized zoom and claimed zero shutter-lag (perhaps that last one depends on device). There's also a new browser, offering better rendering and easier access to tabs. My colleague Tim Conneally has identified "30 Awesome new features in Android 4 'Ice Cream Sandwich'" and I've posted a slideshow of screenshots. S-o-o-o-o, are iOS 5 and iPhone 4S already outdated? My answer obviously is yes. Yours?